Wherever your brand and reputation are found by your prospects and clients on the internet. In 2019 it is more than just your website and social media profiles. Google, Facebook, even Four Square (remember that one?) are involved. There are patents, code, big data and customer insights that have a *HUGE* role to play in your digital presence. These companies are now watching your behavior and work together to get a bigger picture of your life. The ways people used to "game the system" that worked in the 90's and 2000's doesn't work anymore. At all. Now google uses algorithms like "Panda" and "Hummingbird" filter machine generated content while Artificial Intelligence become more competent every day. These systems protect us from imposters; but it goes beyond that. Now, google rewards good reviews, websites linking to yours to vouch for it. They reward us for having a well defined and refined digital footprint. 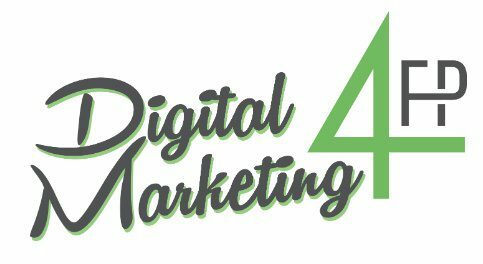 Digital Marketing 4FP recognizes that this complexity is more than the average Certified Financial Planner™ needs to bear. We help CFP® Pros wade through the technobabble and the Fintech landscape to help Registered Investment Advisors (RIAs) leverage these new technologies without becoming overwhelmed. We bring a comprehensive approach that starts with the internet and ends with a pre-qualified prospect on the other side of the desk. The purpose of our approach is to enable financial planners and RIAs with a proactive approach to sculpting their online presence and managing their online reputation.